SOFIA (Bulgaria), March 20 (SeeNews) - Investment in data storage and networks is picking up again after several years of decline, as businesses grow more conservative to cloud technologies and opt for on-premise data centres, the head of Hewlett Packard Enterprise Bulgaria tells SeeNews. 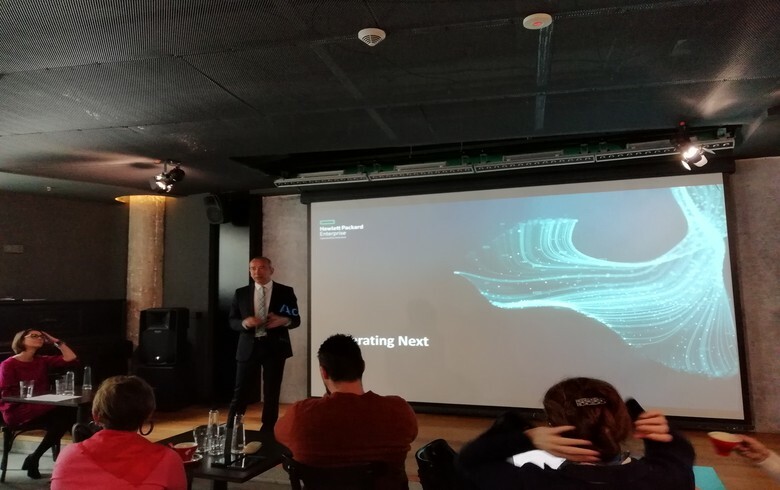 "Several years ago, we were witnessing a drop in investments in data storage systems and networks, as some of our big clients turned to cloud," HPE Bulgaria managing director Iravan Hira told SeeNews on the sidelines of a press event in Sofia earlier this month. A combination of factors has made businesses view the cloud in a more conservative manner, Hira explained. "What we see now in Bulgaria, as well as in other countries, is that at one point our clients realised that their data, the information they have, is their most valuable asset and they would rather not share it. On the other hand, the regulators decided that the data should not be going everywhere unattended. At the same time cyber attacks are becoming more frequent." In response to market demand, HPE Bulgaria - a provider of IT, technology and enterprise solutions - is setting up on-premise data centres which can be used in the so called consumption mode. "We are offering our clients the so called consumption mode model, where we build the entire infrastructure on the client's premises, its employees or engineers own the data and manage it but they pay only as much as they use, very much like you pay your utility bills." Data is at the centre of everything, and technology, including artificial intellifence (AI) should be as near as possible to the data, Hira said, and added that the only difference between the Bulgarian market and markets in Western Europe or the U.S. is scale, but scale does not mean simplicity or complexity. According to Hira, the biggest challenge businesses everywhere face is how to develop their employees. "Machines are starting to learn faster and the question is how to make them help us become more competitive." In his presentation during the press event Hira explained how innovations in the sphere of the Internet of Things (IoT), AI, blockchain and machine learning form the basis of the industries' digital transformation. As an example, he pointed to HPE Infosight - a deep learning solution employing AI for the management of complex IT infratsructure. With the help of a cloud-based predictive analytics, the solution predicts and resolves over 86% of potential problems before they occur. U.S.-based IT company Hewlett Packard is present in Bulgaria since 1998 when it opened a representative office. In 2007 it opened its Global Delivery Center, servicing HP's biggest international clients. Midis Group, which includes over 150 IT companies in Europe, the Middle East and Africa, said in August that is has signed a strategic agreement with HPE to manage and operate HPE´s presence on the markets of Bulgaria, Croatia, Serbia, Kenya, Nigeria and Morocco through its local Selectium affiliates.